This is a 1982 poster created for the staff celebration of the completion of EPCOT center. 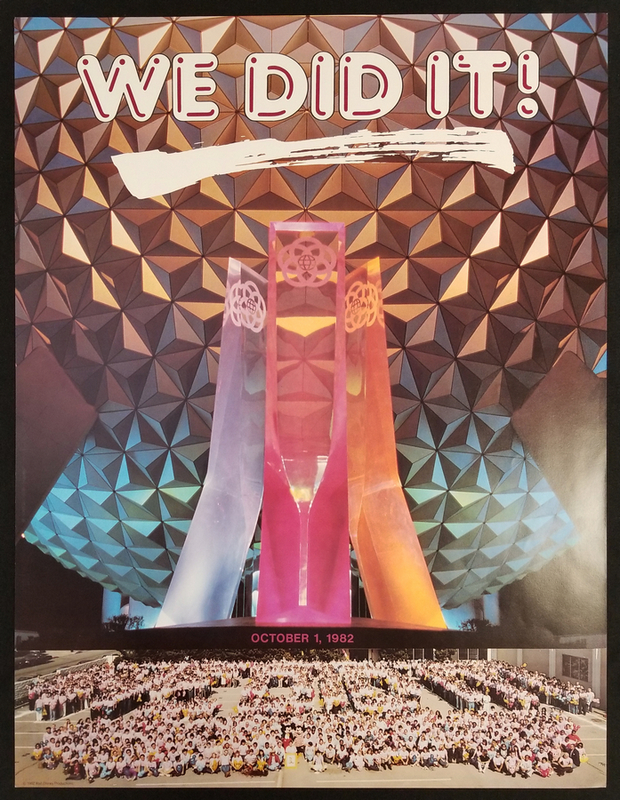 The iamgery features the Spaceship Earth geosphere and an image of the staff gathered in a parking lot (apparently spelling out "We Did It.". The poster is in good condition with minor wear at the very edges and margins and measures 24" x 18".